The United Food and Commercial Workers (UFCW) Western States Council and the Cannabis Workers Rising Campaign have announced their endorsement for Proposition 64 – the Adult Use of Marijuana Act – noting that the initiative offers an important opportunity to professionalize the cannabis industry workforce and provide vital consumer and workplace protections. Proposition 64 will appear on the Nov. 8, 2016, statewide ballot. The UFCW is the only union representing cannabis workers in California. The organization has been a leader in helping to ensure workers in the industry are trained and educated to ensure compliance and high-quality assurance for consumers and patients. UFCW led efforts to regulate the cultivation, sale and distribution of medical cannabis in California, signed into law last fall by Gov. Jerry Brown. 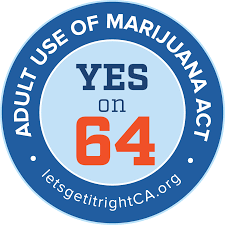 Proposition 64 would allow adults ages 21 and older to possess, transport and use up to an ounce of marijuana for recreational purposes and would allow individuals to grow as many as six plants. If approved, California would join Colorado, Washington, Alaska and Oregon as states that allow recreational use of marijuana. Newsom has long been a leading advocate for regulation and workforce training and protections to help ensure product safety and safeguard against youth access, black market operations and unethical dispensary operators. The United Food and Commercial Workers Western States Council is the regional coordinating body of 11 UFCW local unions representing over 200,000 workers in California, Arizona, Nevada and Utah. The Council is a part of the 1.2 million member strong UFCW International Union. UFCW members are standing together to improve the lives of workers, families and communities.